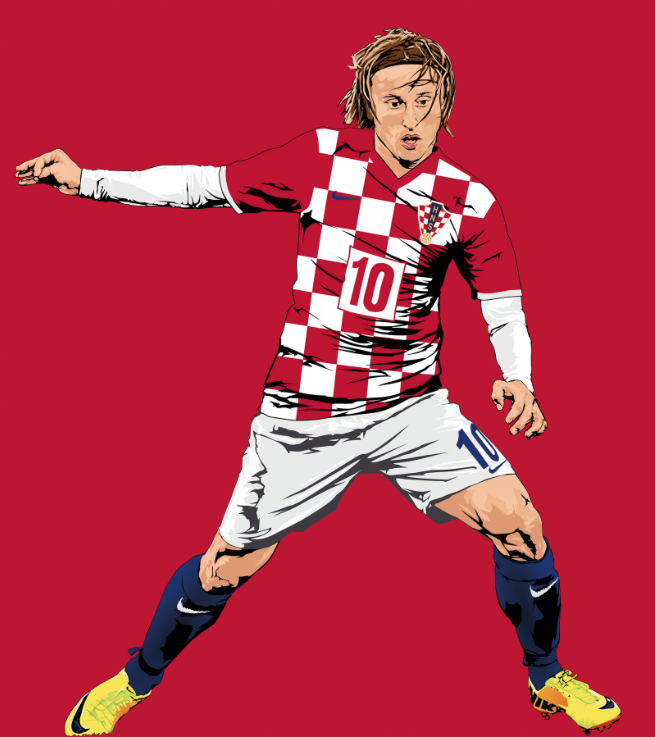 Home > Player Profiles > Luka Modric: Dancing With The Devils From Zadar to Madrid. Luka Modric: Dancing With The Devils From Zadar to Madrid. A usual smile was painted on the Cruyffesque face as he stood with the award in his hand. A smile which signified joy and satisfaction. That heavenly satisfaction human beings feel when they get what they deserve after they have endured everything there is. Life is a war for most of us but Luka Modric survived one, practised in battlefields and avoided plethora of bombs to be where he is today. It was also the smile of a survivor, surrounded by warriors in a different kind of battlefield. 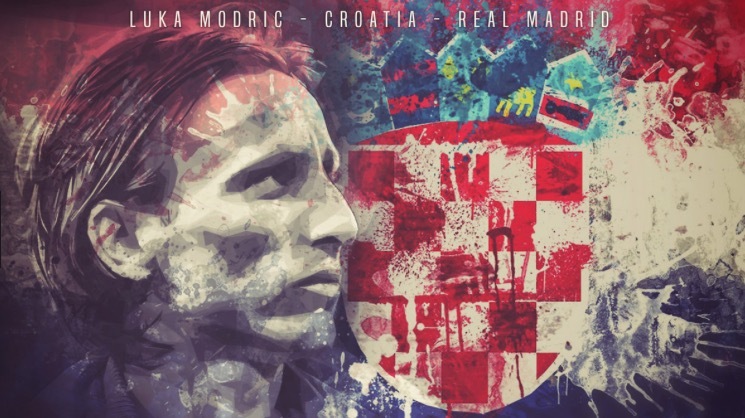 Two decades ago, the village where Luka Modric grew up was a war zone. Beside their small wooden house, grenades would rain on the ground, mortars would be shot and most local people were killed mercilessly. Luka Sr., his grandfather, was shot in front of his eyes when he was only six. When the Spanish Media voted him as ‘ Worst transfer ‘ back in his early days at the Santiago Bernabeu, they should have known that it was not nearly enough to derange the man who survived unthinkable hardships in his life. Modric was always skinny, not very physically agile in a contact based sport. When his grandfather was killed, his family escaped death threats and settled into hotels of Zadar as refugees. But Modric’s love story with the ball set him apart from the rest despite his weak physique. NK Zadar’s chairman was impressed with a skinny little boy kicking the ball around in the hotel lobby and this love affair with the football combined with superior intelligence made a young Modric escape hurdles on and off the pitch. He was always slow and not very athletic. Some argue this can be attributed to the fact that Luka was used to walking very slowly and wisely with his sister in order to avoid land mines when he was young. Hard to imagine isn’t it? However, his immaculate first touch coupled with a blend of unique flair and precision on the ball was more than enough to hide the deficiency. The country’s biggest club Dinamo Zagreb came calling and Luka’s journey to the top was now gathering pace. 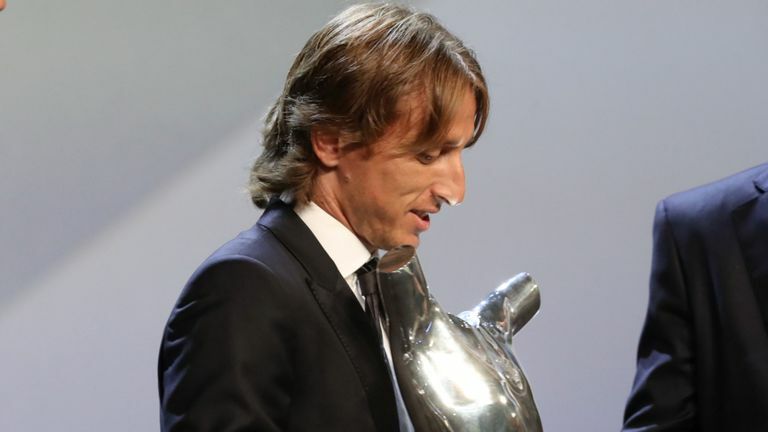 Modric would develop his craftsmanship and go on to win a few league titles, domestic cups and the Player of the Season award. It was not long before the national team call up came and soon the top dogs of Europe were circling around Dinamo Zagreb for his signature. Although clubs like Arsenal and Barcelona took temporary interest, it was Spurs who gave him the big break under the lights of White Hart Lane. Initially, Modric looked like a fish out of water while playing on the flanks and took his time to find his feet at EPL ( a challenge he would later encounter in the La Liga as well). But the igniting potential and a strong mental fortitude propelled Modric to gift the Spurs faithful some great moments and memories. Luka’s time at Tottenham helped them cement their place as a team which could challenge anyone despite having no silverware to show for it. Modric arrived at the Santiago Bernabeu when their midfield trio of Mesut Ozil, Sami Khedira and Xabi Alonso were desperately trying to match the brilliance of their Barcelona counterparts. He was unable to settle and match the fast counter attacking game initially but instead of getting frustrated, Modric fought back with all his might like every time. It was soon after the departure of all three – Ozil, Alonso and Khedira, Luka began to influence and impact matches with his deft touches, gliding past tackles and bringing calm to the chaotic environment of Santiago Bernabeu. With his partner-in-crime Toni Kroos, Modric became the heartbeat of a Real Madrid side that made history. Midfielders are often underappreciated because they cannot be judged with mere statistics in an art form like football. Someone like Zinedine Zidane had very few goals and assists to show for his world class performance in the 2006 World Cup. And like most great midfielders, Luka Modric’s brilliance lies with his intelligence, too. He knows the exact moment when to release the ball, stop and to glide past defenders. The fact that he does all that with relative ease and elegance makes him one of the best midfielders in our era. For a man who evaded bombs as a teenager, evading tackles comes easy to him. In the 2018 FIFA World Cup, Luka Modric, covered every plate of grass, ran more than most and gave his 200% tirelessly for his team. 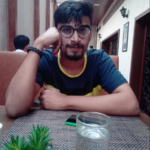 His smile may not give much away but inside that little frame of the magician, there lies tremendous resilience and hunger to withstand any struggle that comes in his way. But what truly makes him tick? What made him survive every hellhole and end up at the Bernabeu from the Balkan mountains?The will to work hard with dedication and the mental fortitude would be my answer. No sane follower of the beautiful game would bet against Luka Modric. The hardships – that’s what makes him unstoppable. That’s what keeps him ticking. That’s what makes him great.